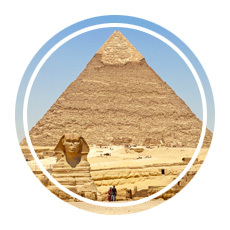 Our visit to Israel, Jordan, and Egypt was mostly a mission for Adam and I to see three places that long sat atop my personal bucket list: Jerusalem and the Holy Land, Petra, and the Pyramids and Sphinx of Giza. With no expectation that any other stop on our itinerary might come close to those experiences, we still had a few free days to explore. 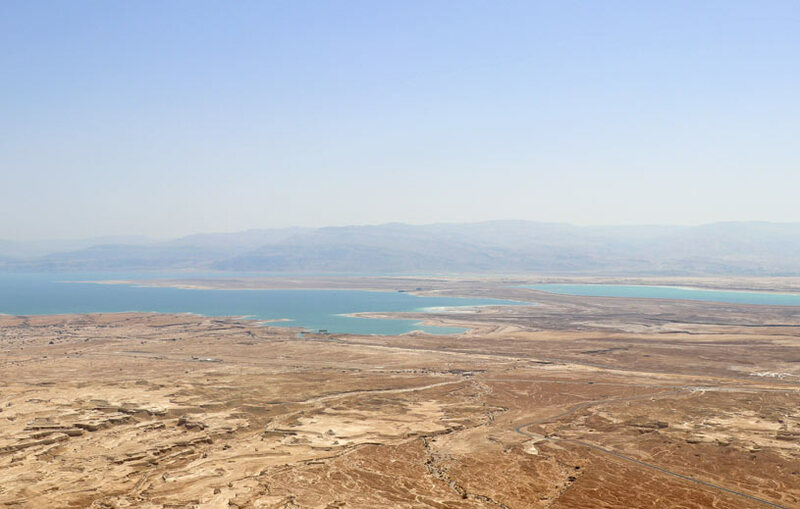 Before leaving Israel, we joined a day trip that took us 90 minutes southeast of Jerusalem to Masada and the Dead Sea to see and learn something new. I should know by now, after visiting dozens of countries, that it’s often the stops you don’t expect much from that become fast favorites. 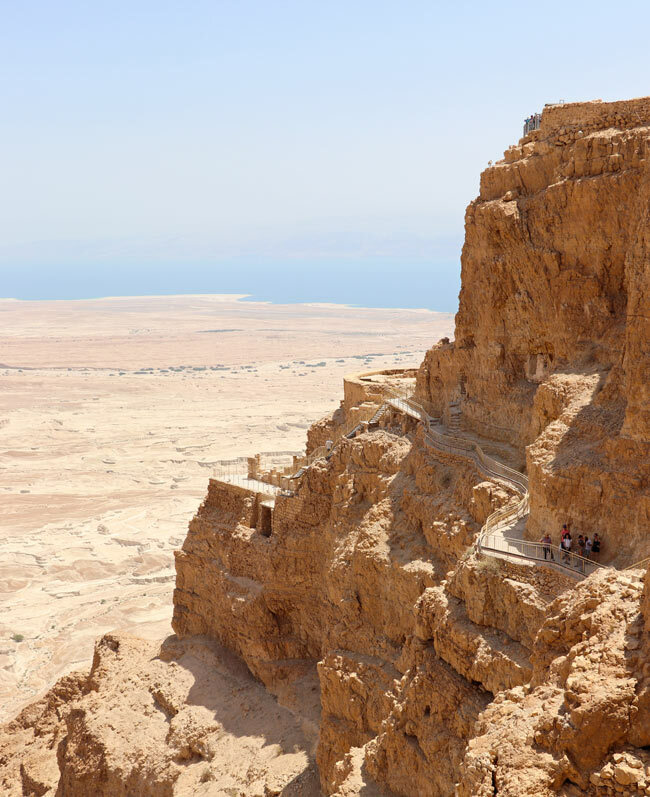 The fortress of Masada and the Dead Sea are great destinations if your travels take you to either Tel Aviv or Jerusalem; in fact, numerous tour companies offer day trips from both cities. We spent our morning walking through a historic site with a captivating story and our afternoon floating in one of the saltiest bodies of water in the world. 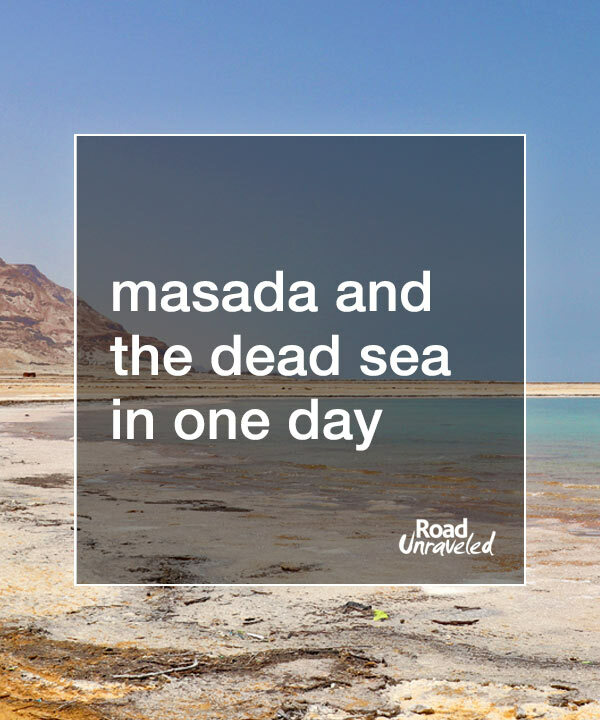 Here is how we made the most of our day at Masada and the Dead Sea: from historical significance to geographical wonder, we hope to help you have as wonderful an experience as we did! 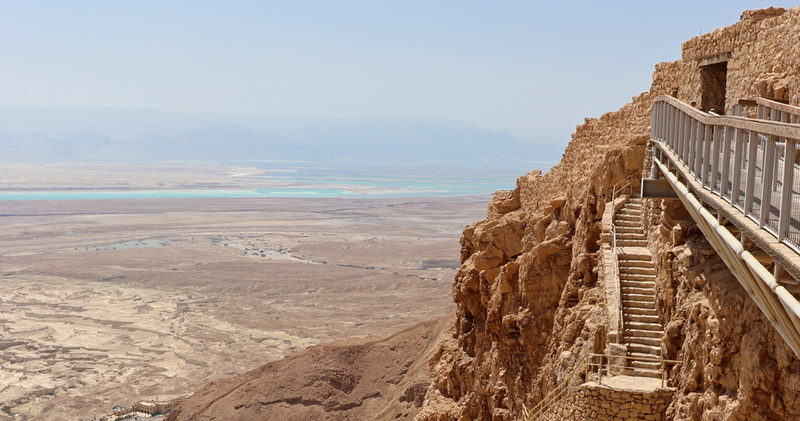 I love a historical destination with a great story, and that’s exactly what Masada provides. 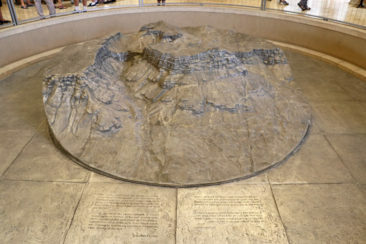 Masada’s legacy is shared primarily through details provided by Jewish historian Josephus Flavius, the commander of the Jewish forces during the First Jewish-Roman War from 66-73 AD who made it his mission to share Masada’s tragic ending. Masada was most likely built between 37 and 31 BC by Herod the Great. 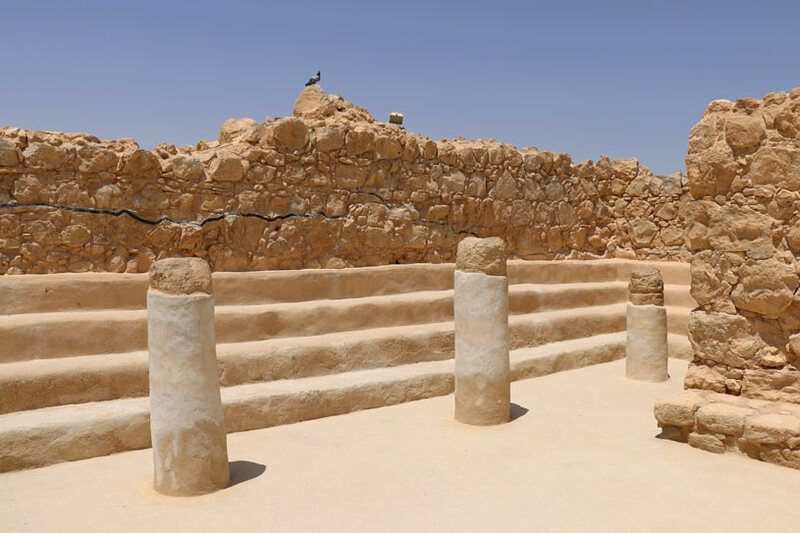 While Josephus’ writings claim Hasmonean king Alexander Janeus built the site decades earlier, there is no architectural evidence that any type of construction was built earlier than Herod’s fortress. Herod ordered the development of the fortress because its geographical position made it a terrific strategic location for him. 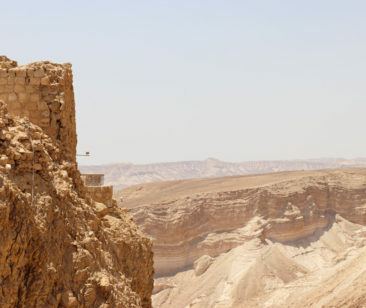 Masada sits on a plateau that is part of a cliff jetting more than 1,300 feet into the air. 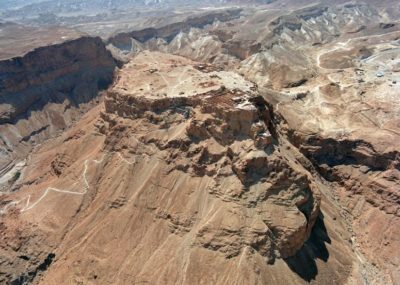 Around Masada are smaller but difficult to navigate cliffs with only three narrow paths leading to its gates. 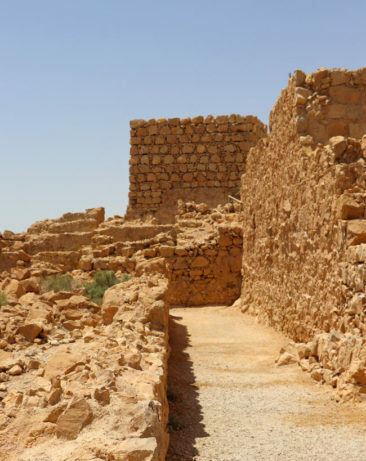 From the fortress Herod would be able to see enemies approaching from long distances, and the limited access served as an additional level of protection. 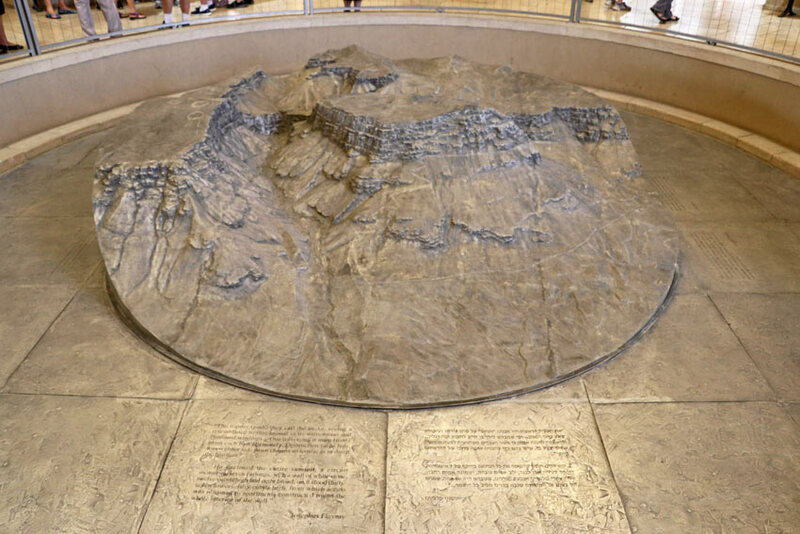 Two events defined Masada between 66 and 74 AD: the Great Revolt and the Siege of Masada. Prior to 66 AD Masada was controlled by the Romans, as it had been since Herod the Great ruled there. The Great Revolt of the Jews against the Romans was led by Eleazar Ben Yair and the Sicarii. 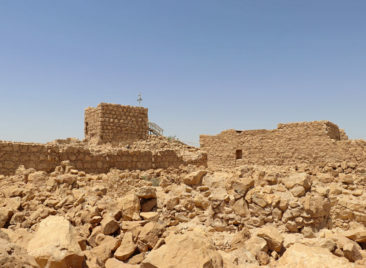 The Sicarii were a group of Jewish extremists who fled from Jerusalem and ultimately settled at Masada after taking possession of it following the Great Revolt. More and more of the Sicarii relocated to Masada in the years after the revolt as they were run out of Jerusalem due to ongoing conflicts with other Jewish groups. Masada’s history since the Siege has been far quieter with significantly less bloodshed. The Romans stayed there only through the 2nd century AD, after which time a Byzantine monastery was founded in the 5th century and abandoned just two centuries later. 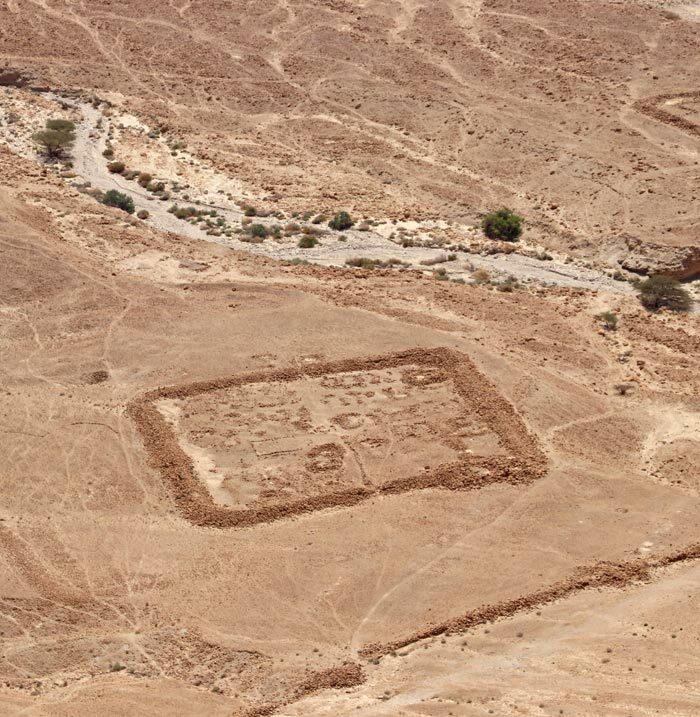 Masada was rediscovered in the 19th century, with explorations and excavations marking much of the last 100 years. Today, Masada is a UNESCO World Heritage Site. 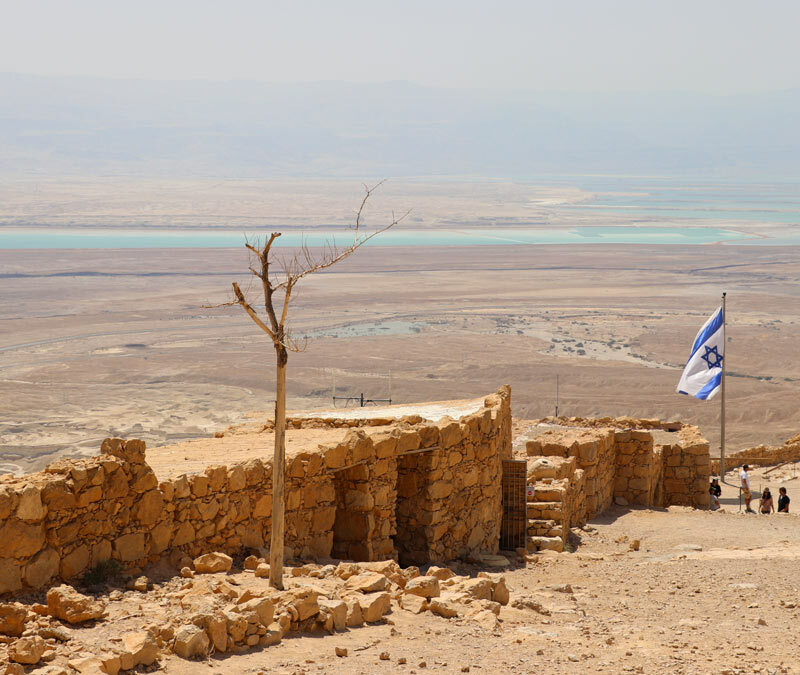 This video from UNESCO provides an additional overview of the site and the historical significance of Masada. Touring Masada today allows visitors to walk through the fortress’ ruins, which in some cases are surprisingly well-preserved. 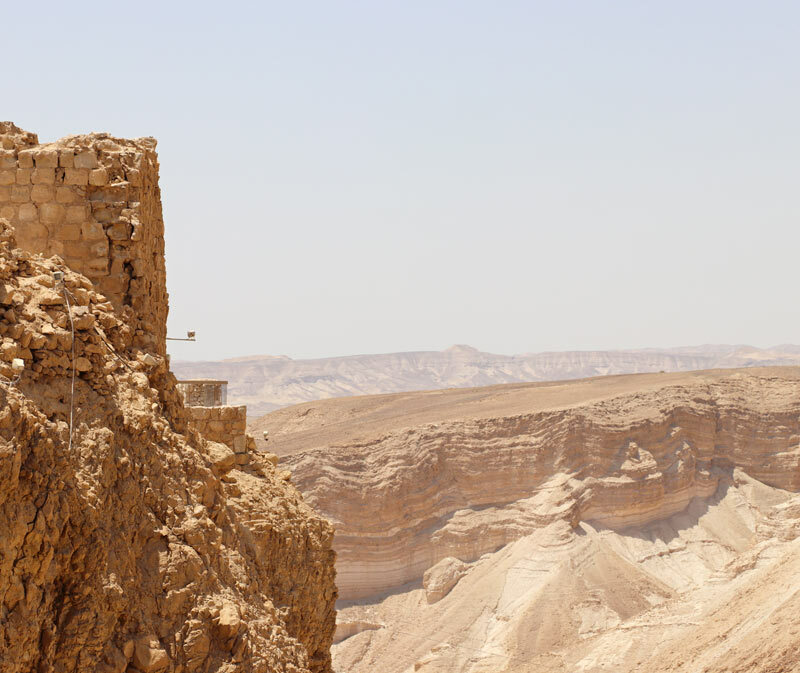 Masada’s Northern Palace was constructed by Herod the Great, and it’s one of the most impressive spots at the site. 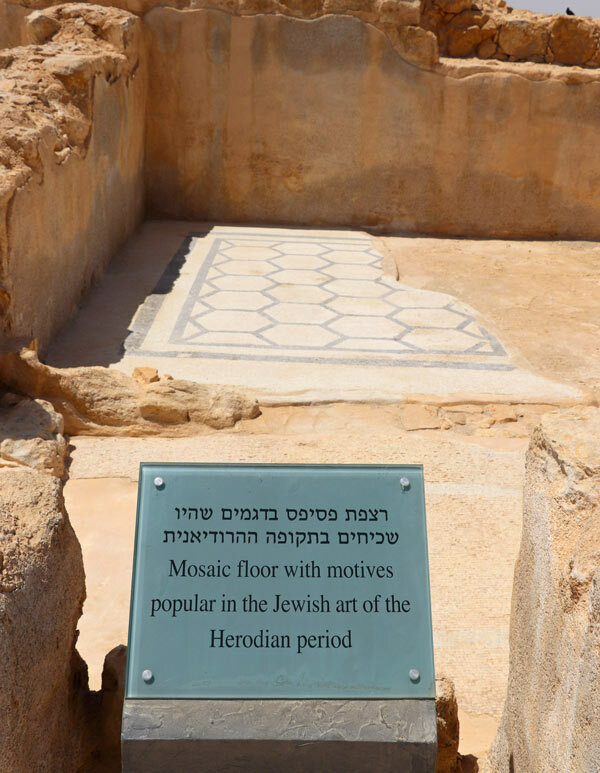 Herod lived on the top level, and the lower levels would have been used for entertaining high-ranking guests. 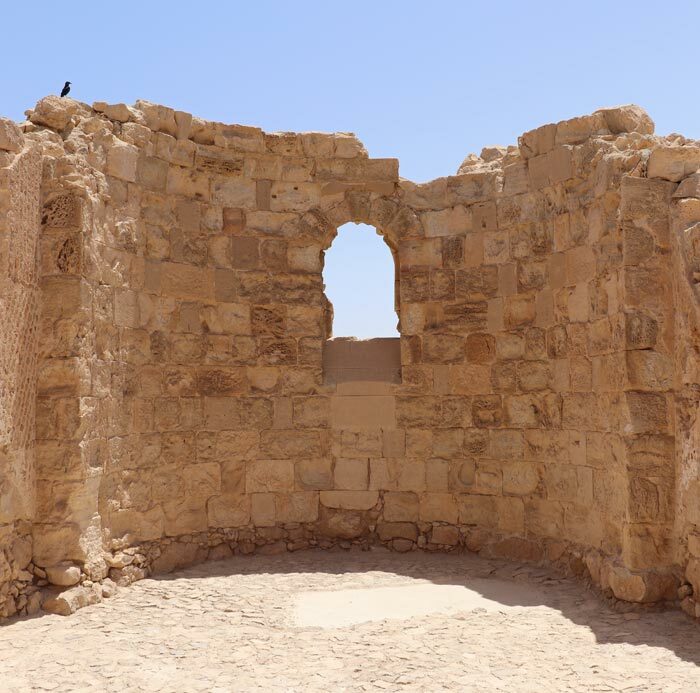 There is also a great observation point at the Northern Palace, where it’s possible to see a significant amount of the landscape and gain an appreciation for Masada as a strategic stronghold. The Northern Palace’s bathhouse is particularly well-preserved, and it’s possible to see some of the original black and white mosaic used at Masada. The Western Palace is the largest structure at Masada. In addition to a large courtyard it also has the remnants of a public pool and three small palaces, one of which was not completed during Herod’s reign. This was also the site of Masada’s impressive water cisterns, which demonstrated some complex architecture and site planning. 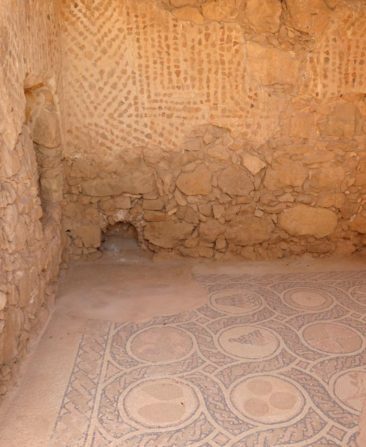 One of the best-preserved portions of the Masada fortress is the Byzantine church, which features ornate walls and several mosaics. While it was built after the Roman Siege, it brings Masada’s final chapter to life, as the monks who lived there were also Masada’s final residents. 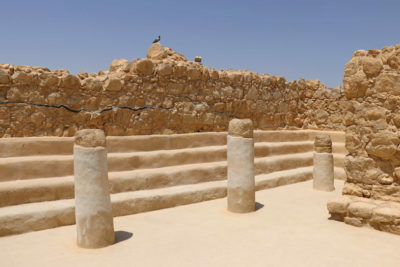 Another building constructed during Herod’s reign is the synagogue, which is surrounded by rows of bench seating and was originally used as a stable. 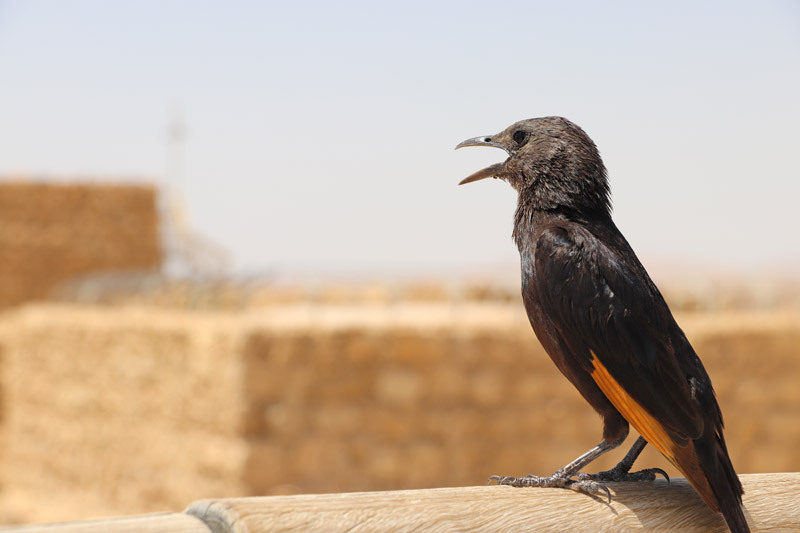 Ancient biblical scrolls were found at the site, as were remnants of papyrus and parchment that would have been used for documentation. It is still possible to see both the Roman siege ramp and the noticeable hole in the perimeter wall, which was damaged in 73 AD. It’s a sobering place to stand; behind you are the remnants of Masada and the spots where so many people died so as not to surrender, and in front of you are the remnants of the Roman camps and the path they took as part of their mission to take back Masada. Haunting and sad, the breaching point is still heavy under the weight of its own history and the unanswered questions about its final moments. We were booked on a full day tour directly from Jerusalem, and we benefited from a guide who escorted us to and through Masada. Masada isn’t difficult to navigate, but it really comes to life through stories that you won’t find in brochures or guide books. We appreciated having someone explain what we were seeing as well as the convenience of having private transportation to the site, so if a tour is in your budget it’s a great option. 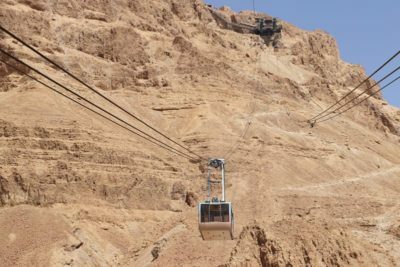 It is possible to walk along the Snake Path to reach Masada, but we recommend considering the cable car instead—especially if you are tight on time or visit during the middle of the day. It takes most people around 90 minutes to hike to the fortress and around 45 minutes to hike back to the base of the cliffs, which will extend the length of your visit. Additionally, the heat during our trip was almost unbearable (more than 100 degrees Fahrenheit with limited shade). If you choose to make the climb, consider doing so around sunrise, which is a popular time and will avoid the heat of the day. The cable car is a good alternative; it takes just about three minutes to ascend, and while the cars are extremely crowded the discomfort of being shoulder-to-shoulder with other tourists lasts for a very short time. Once you begin your walk through Masada, you won’t have the opportunity to purchase water—and you will want as much as you can carry. Take a couple of bottles to stay hydrated during your walk, which for most groups will be between one and two hours. 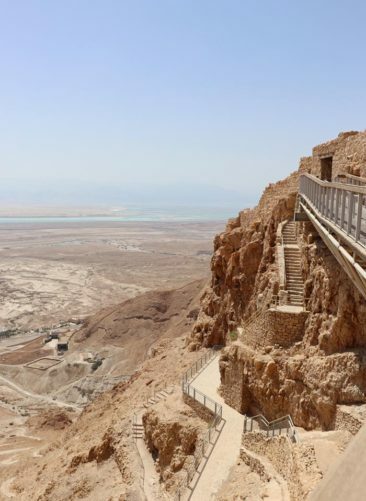 Wear sunscreen, a hat, and even long sleeves if you can stand it—the sun is strong at Masada, and it’s important to protect yourself from a sunburn. There are very few places where you will find shade, and when you do you may be competing with others from your tour group to stand in it. Don’t let sunburn impact your health or ruin your trip! After leaving Masada, we were ready for some down time. 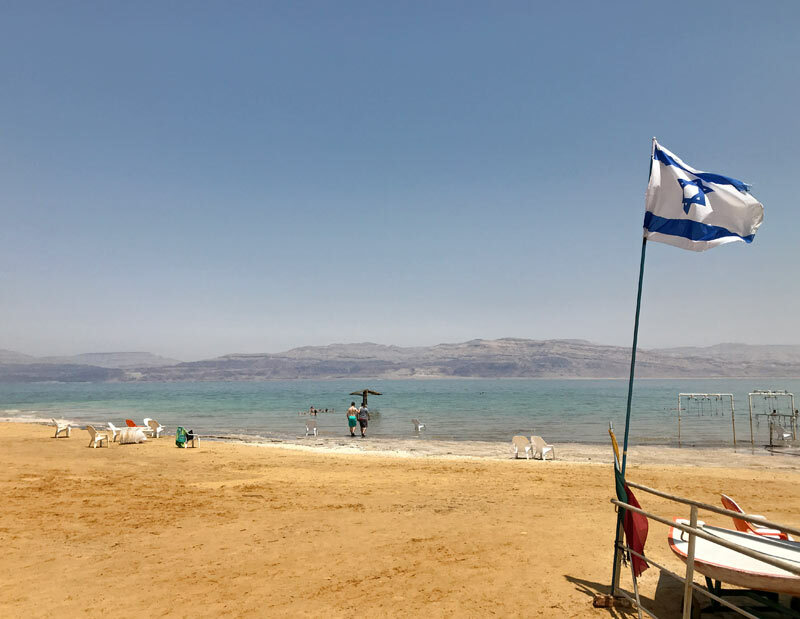 The Dead Sea provided plenty of that: there’s not much in the way of an organized visit to one of the saltiest bodies of water on the planet, so much of the time you have to spend there is yours and yours alone. 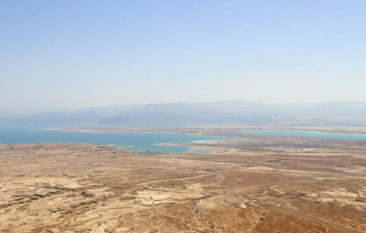 The Dead Sea represents the lowest elevation on Earth; it stands more than 1,400 feet below sea level. 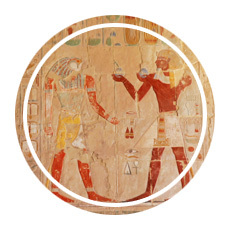 Herod the Great once used it as a health destination, as the salt and minerals from the water carry some solid health benefits. To this day many people flock to its shores to float, cover themselves in mud, or simply admire it. Those shores are a little harder to reach each year; they have been receding for decades, which is causing an environmental impact on the surrounding region. This is in part due to large sinkholes that have formed in its vicinity, which impacts the rate at which groundwater is replaced by freshwater—freshwater is a primary factor in the receding shorelines. While plans are in place to restore the balance, success is not guaranteed. 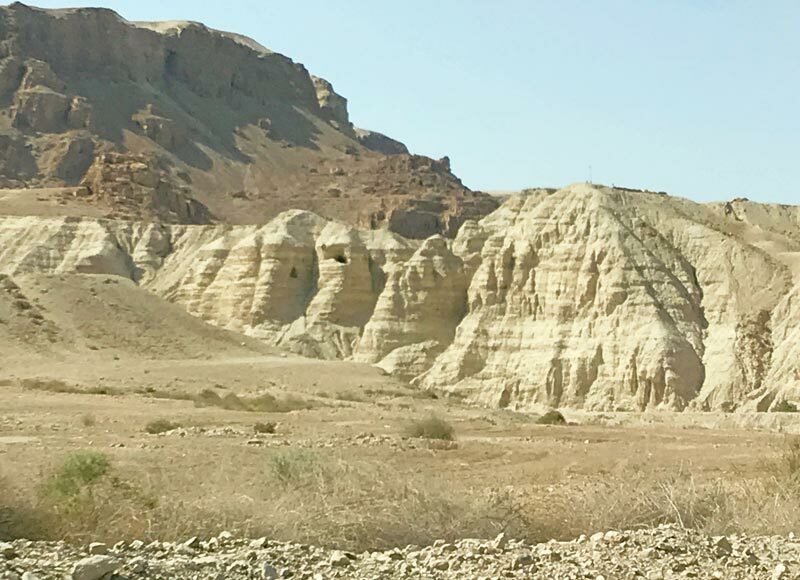 Not far from the Dead Sea are the Qumran Caves, where the Dead Sea Scrolls were found; although you likely won’t stop and won’t have the chance to visit them, most tours will point them out as you drive past them. 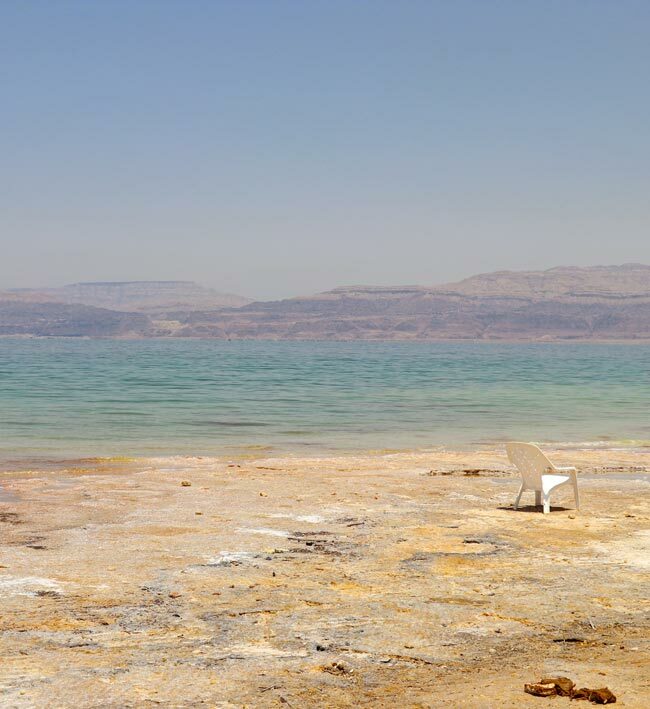 Experiencing the Dead Sea is pretty straightforward. In some ways it’s a lot like visiting a beach; you can pick a spot with a chair or two, unload your belongings, and head into the water. From there, it’s a swim unlike any other you may have taken before. As soon as I waded into the water I could feel the salt water pushing my body up, and it took some effort to keep my feet on the sea floor. Once Adam and I were waist-deep, we submerged a bit and really felt the water’s efforts to force us into a floating position. I love to swim; I have dived into the warm waters off the coast of Bermuda and Florida’s Tarpon Springs, and I have cannonballed into the icy Southern Ocean in Antarctica. Floating in the Dead Sea was nothing like those experiences. The water was exceptionally hot—almost uncomfortable as we stood ankle-deep and started our walk out to deeper sections—and it’s not really designed for swimming. Given how it pushes you up to the surface, it’s best to just let the water do what it does best and force you into a relaxing floating position. We were happy to enjoy the sensation for a little while, smiling as we heard similar exclamations and observations from fellow travelers around us. It’s a once-in-a-lifetime experience that is a great way to end a day trip in Israel! 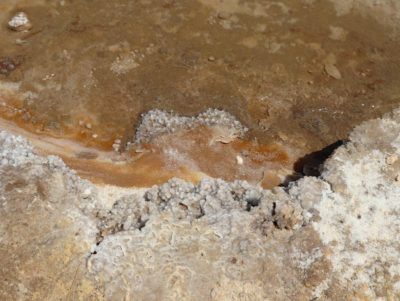 The Dead Sea is salty, and that means the floor is, too. With thousands of sharp ridges, I saw more than one person rushing out of the water to find a bandage for a surprise cut. We bought some cheap flip flop sandals in the gift shop at the Ein Gedi Spa, and while the sandals were terrible quality they did the job. Consider taking a pair of cheap plastic sandals with you or prepare to purchase some, but don’t go in the water without protection for your feet! Whatever you do, be sure to float on your back. The Dead Sea’s salt water is difficult to move around in, which can make it hard to switch positions if you attempt to float on your stomach before rotating to your back. Floating on your stomach is typically not allowed, so follow the rules and play it safe. 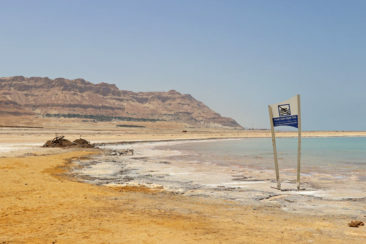 The Dead Sea is saltier than you can imagine, and getting salt in your eyes burns! Avoid this by keeping your head out of the water, and avoid rubbing your eyes until you have washed them. There is fresh water available to rinse yourself after your swim, and we were grateful for that because it was a long way from the Dead Sea’s shores to the spa and changing rooms. The high salt content in the Dead Sea will seep into any open wounds you might have, no matter how small they may be. Check yourself for minor scrapes that could become painful if salt water touches them and carry a few bandages with you in case you need them. Floating in the Dead Sea doesn’t have to be a painful experience! Our day trip took us to the Ein Gedi Spa, which was described as a resort-like spot to visit the Dead Sea. 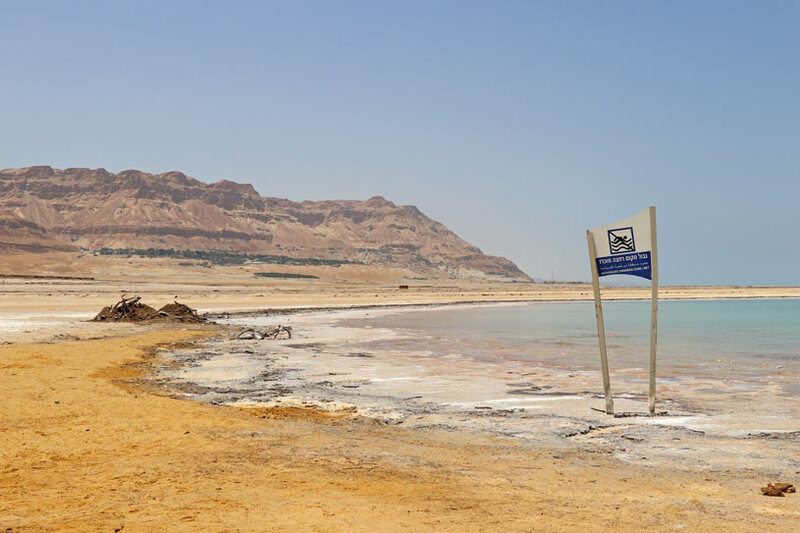 While there may be more expensive hotels that offer Dead Sea access, Ein Gedi and similar spots are designed for tourists and won’t provide you with privacy or luxury. We found the changing rooms to be crowded and a bit dirty, and there were dozens of tour buses which translated to hundreds of people following the same itinerary. It was crowded and a bit hectic; while we were prepared for those conditions, not everyone we encountered found them suitable. Be sure you know what kind of experience your tour will provided before you book. 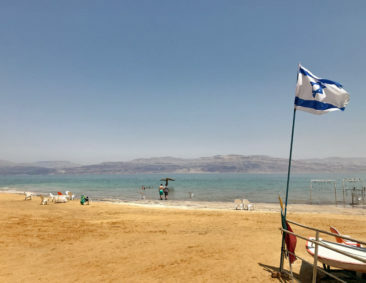 The salt from the Dead Sea can discolor clothing, so wear an old bathing suit when you visit. Additionally, carry a plastic bag or beach bag to stash your wet suit for the journey back to Jerusalem or Tel Aviv. We paid about 8 USD to rent two towels during our visit, but we could have saved that money if we had taken our own. You will definitely want a towel when you get out of the water, so consider taking them with you instead of renting. Alternatively, renting towels means fewer wet items to haul home with you, and we were happy to leave our towels behind instead of taking them back to our hotel. If you want the ultimate Dead Sea experience, cover yourself in the mud found along the shoreline. The mud is a light, pale gray color, and most people slathered it on their arms and faces and let it dry for a while before rinsing it off. The high mineral content, combined with the salt, will leave your skin feeling soft for days! Be sure to rinse using the fresh water available, though—keep those faces out of the Dead Sea! 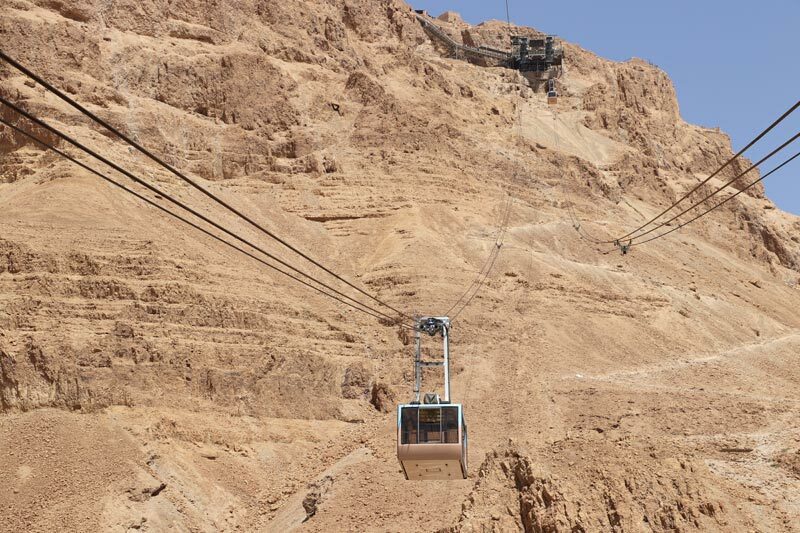 An open-air shuttle transports guests from the spa to the Dead Sea, but it only runs every 15 minutes. If you are on an organized tour and need to be back on your bus for a return trip home, keep an eye on the clock and be sure to give yourself plenty of time. We left the Dead Sea 45 minutes before our bus was scheduled to depart, and we ended up spending 15 minutes just waiting for the shuttle. Some people on our tour were running late and didn’t have time to change from their bathing suits into their dry clothes, which must have been uncomfortable during the journey back to Jerusalem. Keep an eye on your watch and be sure to give yourself plenty of time after your swim. We had lunch at Ein Gedi Spa and were pretty disappointed with the selection, quality, and service, so take a few snacks with you so you don’t overpay for a pretty terrible meal. We did think the gelato served in the gift shop was tasty, and it made for a great treat after our dip in the Dead Sea. If you’re planning to eat, spend your money there instead of on the hot food. Are you planning a trip to see Masada and the Dead Sea? 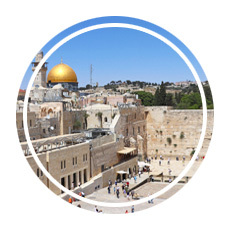 You’ll find many day tours from Jerusalem and they have plenty of hotels. Here are some deals to consider. 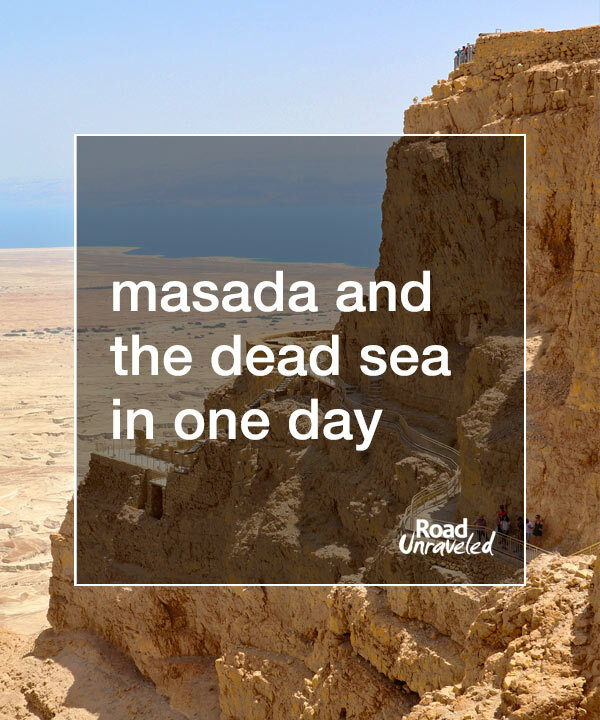 Enjoy Masada and the Dead Sea! 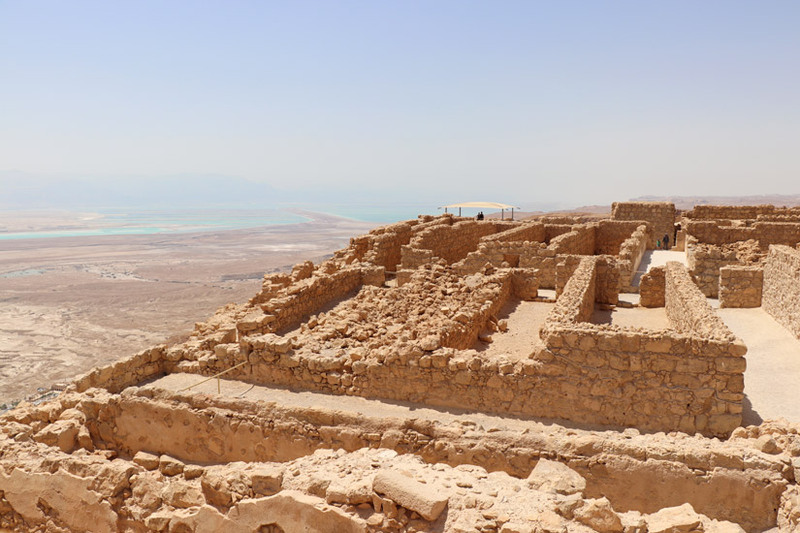 Our visit to Masada and the Dead Sea had just about everything we love in a day trip: history, recreation, and a chance to explore a new part of the world. 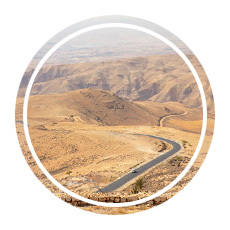 While most day trips from Jerusalem and Tel Aviv include both Masada and the Dead Sea as part of the tour, it is possible to find tours that include just one or the other or to take public transportation instead. If you have the vacation time available, though, consider both attractions. We loved learning about Masada’s incredible history and reflecting on it while we floated under the sun in the Dead Sea. Let us know if your travel plans will take you on this great trip, and let us know what tips you have to share! Are you interested in historic places in this part of the world? Here are a few more articles to take a look at!